Oregon Transportation Commissioners hear first report on Frog Ferry concept on Friday, Nov. 16. Advocates for a ferry service linking downtown Portland with Vancouver made quite a splash during a first unveiling of the proposal before the Oregon Transportation Commission. After 18 months of planning, Frog Ferry founder Susan Bladholm made her pitch on Friday, Nov. 16 — telling state commissioners that just one boat could hold roughly 150 people and take 500 vehicles off the congested Interstate 5 span between Oregon and Washington. The eight-stop line connecting St. Johns, Northwest Portland, the Oregon Convention Center, the Salmon Street Springs, the Oregon Museum of Science & Industry, Oregon Health & Science University, Lake Oswego and Oregon City or Milwaukie could set sail no sooner than summer 2022. Additional routes could include the Columbia River Gorge, Troutdale to Camas or the Port of St. Helens. 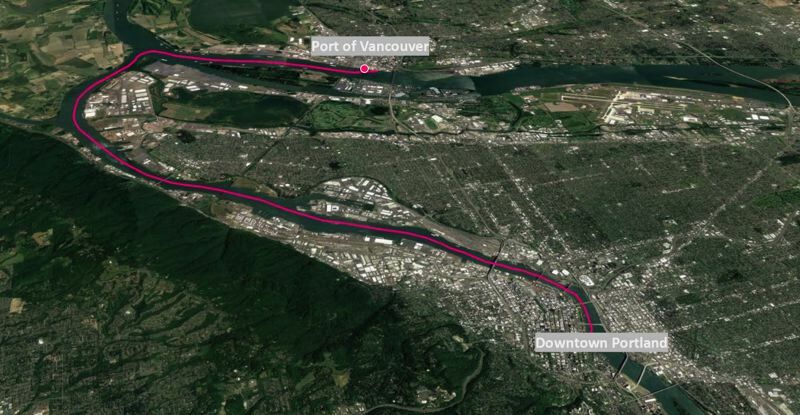 With a cruising speed of 22 knots, the ferry could transport passengers from Vancouver to Portland in 38 minutes. "This is a big, bold, audacious, challenging project," Bladholm said. "It's going to take enormous amounts of courage." The good news: They've already found the boat. "I'm willing to buy the first boat," pledged Dan Yates, owner of the Portland Spirit and four other vessels, during the meeting "(But) I'm not going to pay a few hundred thousand dollars for a study that will just roll around and collect dust because government can't get its act together." The bad news: No government study would be that cheap. In fact, the total cost of a transit modeling study, economic and social impact study, passenger ferry service case studies, operational infrastructure report, funding strategies and a 2020 finance plan is estimated at $1.3 million, according to a proposal submitted to the commission. The ferry's true-believers hope state officials will fund at least part of those feasibility studies. Transportation commissioners asked several questions and appeared generally receptive during the 40-minute presentation held in Lebanon. They made no commitments. "Your commitment to this project is to be commended," said Chairwoman Tammy Baney. "I am just floored by the passion behind it." "This is a great concept," added Commissioner Alando Simpson. "It's sad to think that I was in the fifth grade the last time this was originated or even talked about." Simpson said he wants to see more vocal support from local environmental groups, however. Yates said he envisions a series of up to 16 ferries on the Columbia and Willamette rivers, and says tickets should ideally be integrated into the TriMet system of buses, light-rail trains and the Portland Streetcar. He also said the system could prove crucial during a "Big One" style earthquake that would likely shatter most bridges and crossings. He said the subsidy would be far less than those required per rider for MAX trains. "We got to get the first one in to prove to you all that it works," he said. "You can't make it outrageously expensive because the purpose is to get people out of their cars." Chris Ford, who leads the Southwest Corridor light-rail project for Metro, said his regional agency has made no firm commitment to support Frog Ferry, but noted that the concept has been added to the 2018 regional transportation plan. Many prominent private and public entities have written letters of support for Frog Ferry, including the Zidell Companies, Vigor Industrial, Travel Oregon, the Port of Portland, the Portland Business Alliance, Greater Portland, Daimler and Mayor Ted Wheeler. "We owe it to ourselves to explore the possibility of connecting people by our natural river highway," Wheeler wrote in a letter in January. There are about 600 ferry systems in the U.S., half privately-owned and the other half either publicly-owned or a public-private partnership. The Federal Transit Administration offers generous grants to ferries in many states, but those funds can not be used to cover day-to-day operational costs. 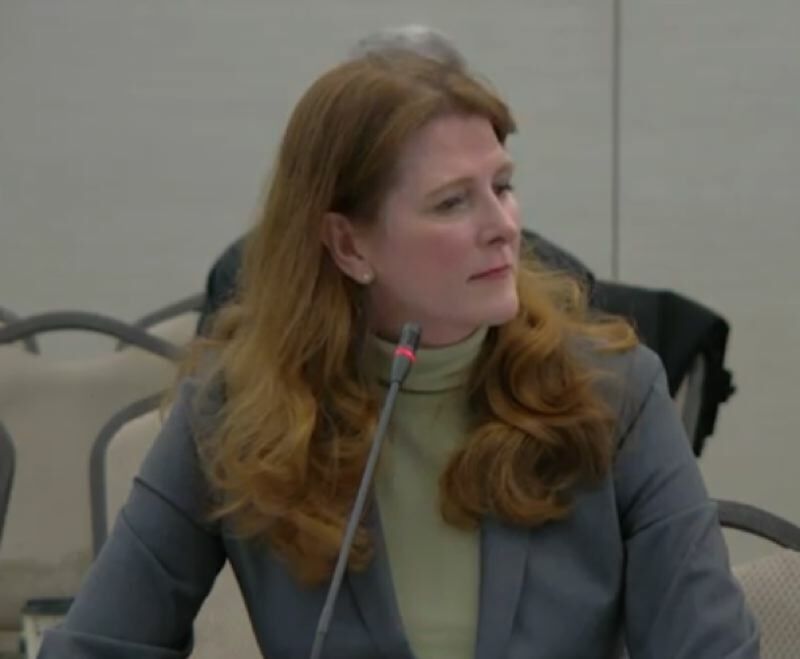 Claire Withycombe of the Oregon Capital Bureau contributed to this report.